This post is brought to you by Southside Market & Barbeque, which provided advertising support. Some raw sausages, like Argentinian longaniza and English Cumberland, are sold in thick coils. 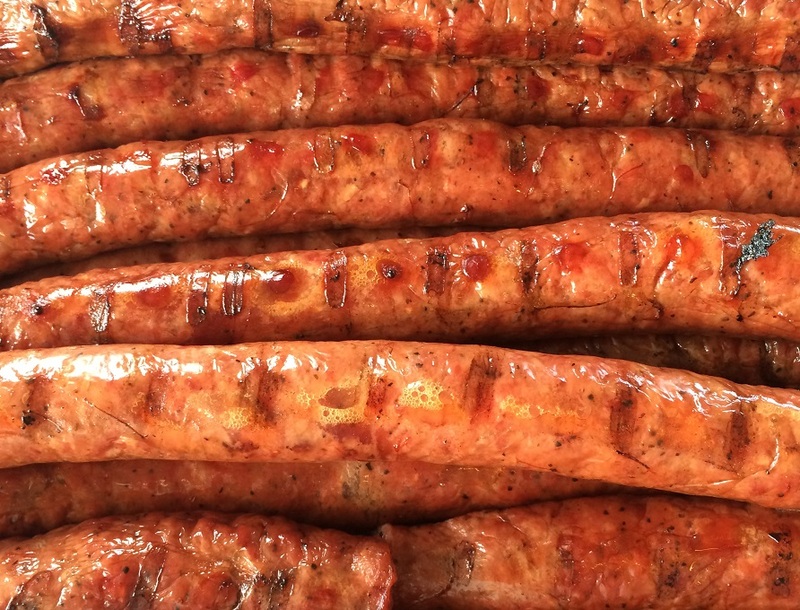 At Southside Market & Barbeque, each fresh (raw) sausage rope measures approximately 44-48 inches long and weighs 2 lbs. Seasoned with cracked black pepper, it is all beef, coarsely ground in a natural pork casing. How do you grill rope sausage? 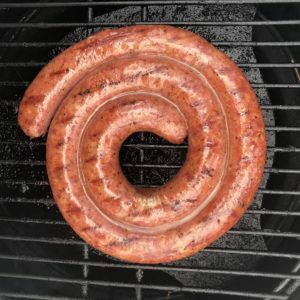 The coil should stay in circular form on its own, but if you like, you can secure the shape and avoid piercing the sausages by using butcher’s string to secure the coil, running it through the center and tying it off at the outermost loop of meat. It can also be cooked unrolled. Once the rope is prepared, turn your attention to the grill. Traditional grilling wisdom has centered on grilling sausages on the grill over high heat, which can cause colossal flare-ups. Instead, set up your grill for indirect grilling and preheat to 200-250 degrees. Indirect grill until sizzling and browned (1.5-2 hours) and the internal temperature reaches at least 165 degrees. The beauty of using Southside Market’s raw sausage rope (as opposed to pre-cooked): you can toss wood chips on the coals to add additional smoke flavor as the sausage cooks. And indirect grilling locks the juices in the sausage so they may actually squirt when you cut into them. Where can I buy rope sausage? 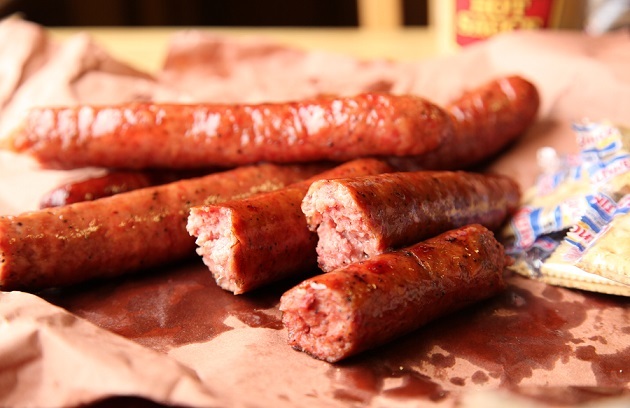 Known by their long-time customers as “Elgin Hot Sausage” or simply “Hot Guts,” this is the sausage that put Southside on the map. 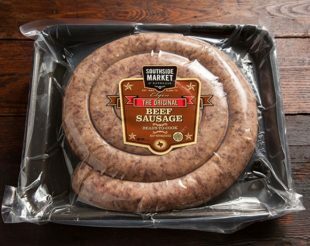 Their signature Fresh Original Beef Rope Sausage is now available to buy online exactly how they sell it fresh in their meat markets. Prepared fresh in-house daily, you can order online in 4-pound increments for $35 each, or save with bulk (8 pounds for $65).